On January 16th, 2019 California was experiencing one of the most cumulative rain storms in its recent history. The storm caused major flooding, traffic accidents and power outages all over the state. Of course with any natural disaster or extreme weather, preparedness can often soften the blow of any of these events. 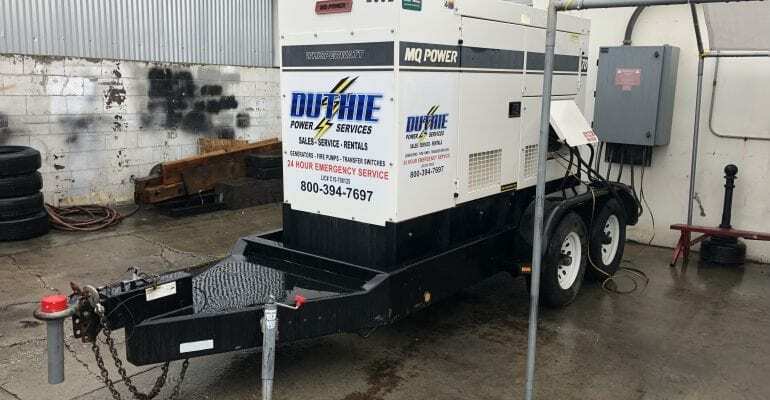 Contrary to the assumption that a generator service company like Duthie Power Services would have a backup generator permanently hooked up at all times, we actually do not. What our headquarter office does have however, is a generator docking station installed on the side of the building in an easily accessible place. 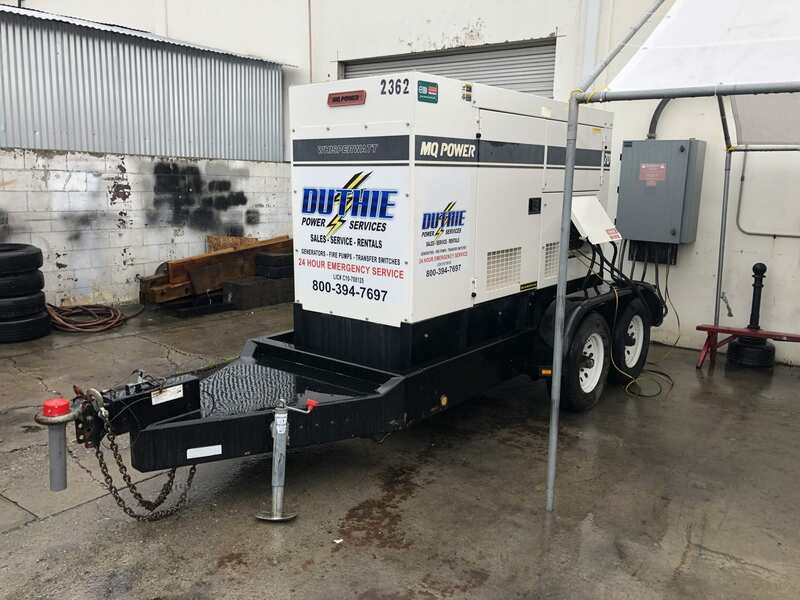 So when parts of the city of Long Beach, including Duthie Power Services, lost electricity on that stormy January day, it was only a matter of minutes until we were back up and running thanks to our generator docking station. Managers acted quickly and placed a portable rental unit from our yard next to the docking station. With a few quick cable connections the entire building was back up and running with power again. 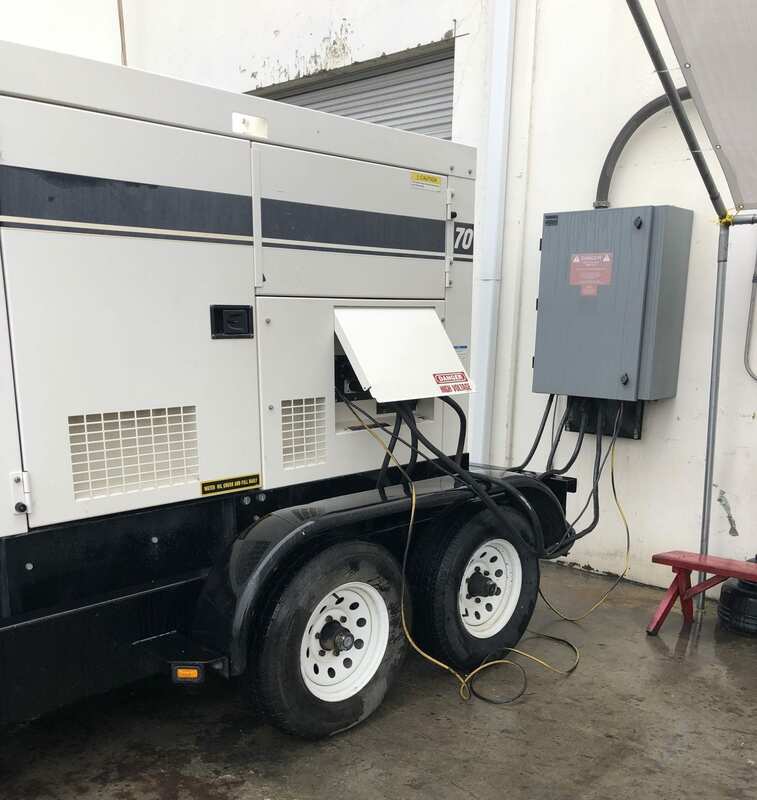 What generator docking stations, which are also referred to as tap boxes, enable businesses to do is provide the quick connection of portable power units right when a building needs it most. It eliminates the need to run lots of cables throughout the building into the main electrical panel. It is already pre-wired, so this is the plug-n-play solution in the temporary power world. This can change the time needed to set-up and get your building power from 4 hours down to 30 minutes or less.